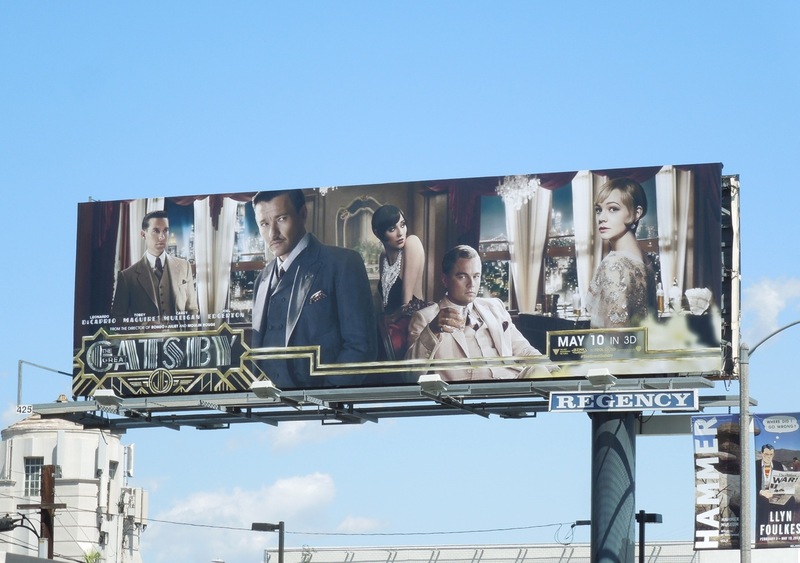 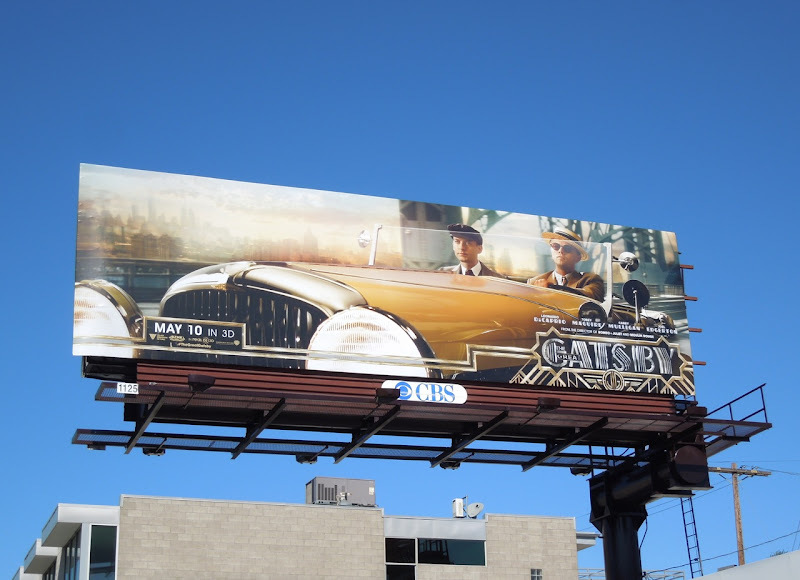 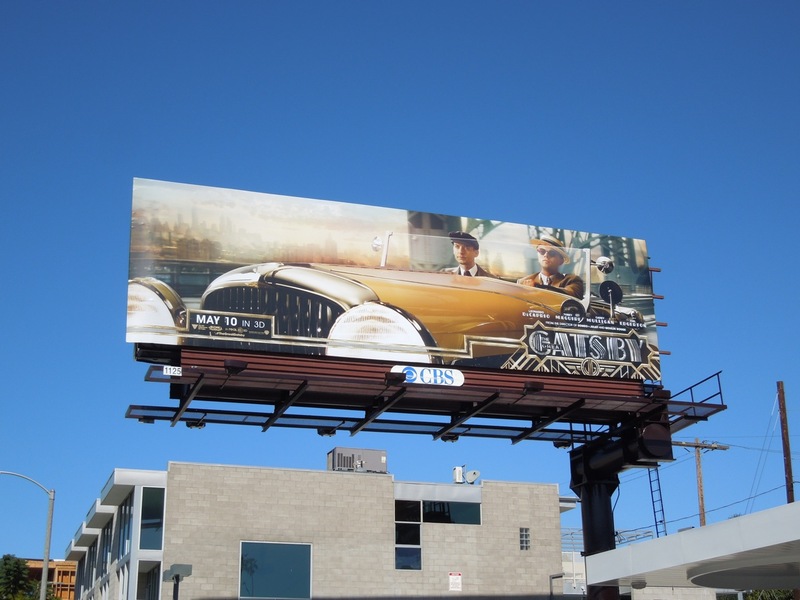 Alas, it may be another movie remake, but at least these billboards for Baz Luhrmann's version of The Great Gatsby look intriguing, opulent and a bit whimsical too. 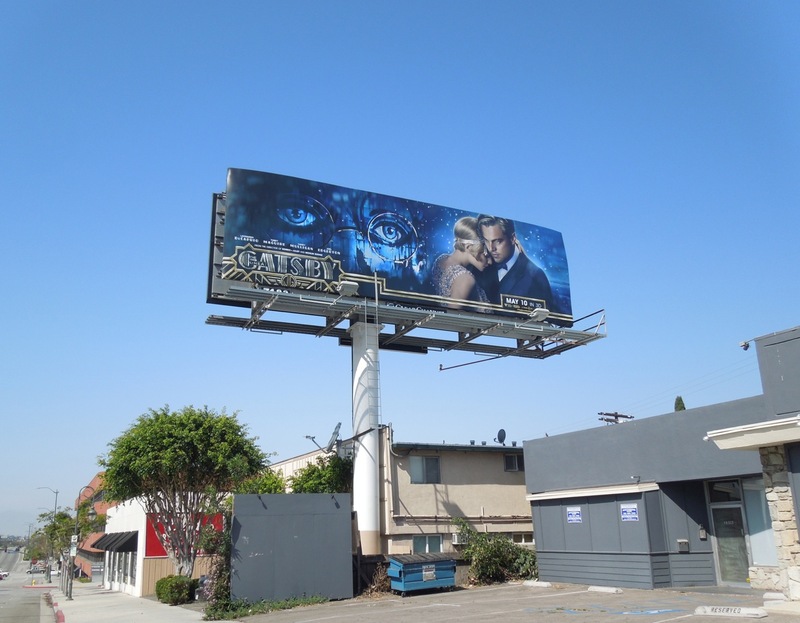 Daily Billboard especially likes the motor car creative, which is a fun and different visual than we're used to on a movie billboard, plus at least they are not solely relying on another headshot of Leonardo DiCaprio to sell the movie. 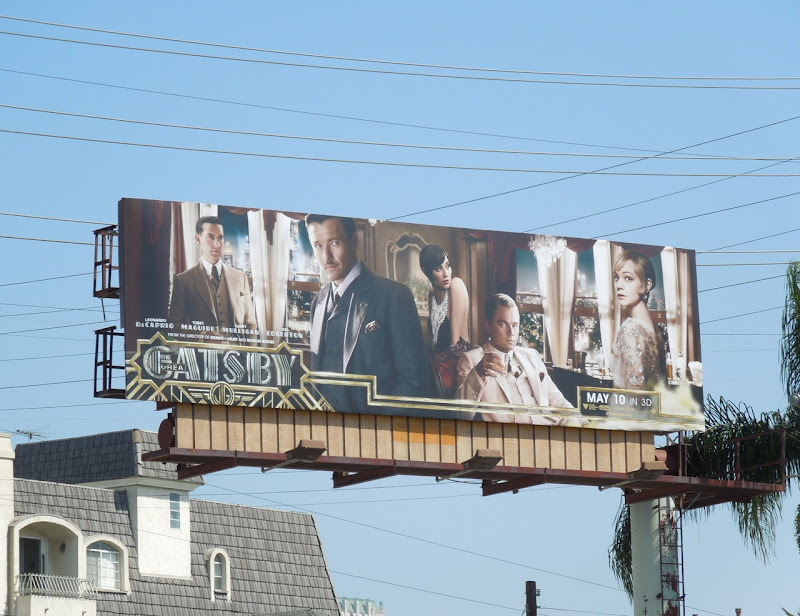 Based on F. Scott Fitzgerald's original novel set on prosperous Long Island in the roaring 1920's, Tobey Maguire's Midwestern war veteran is lured by the lavish lifestyle of millionaire neighbour, 'Jay Gatsby' (Leonardo DiCaprio), but he discovers it's not just flambouyant parties in his new circle of noveau riche friends. 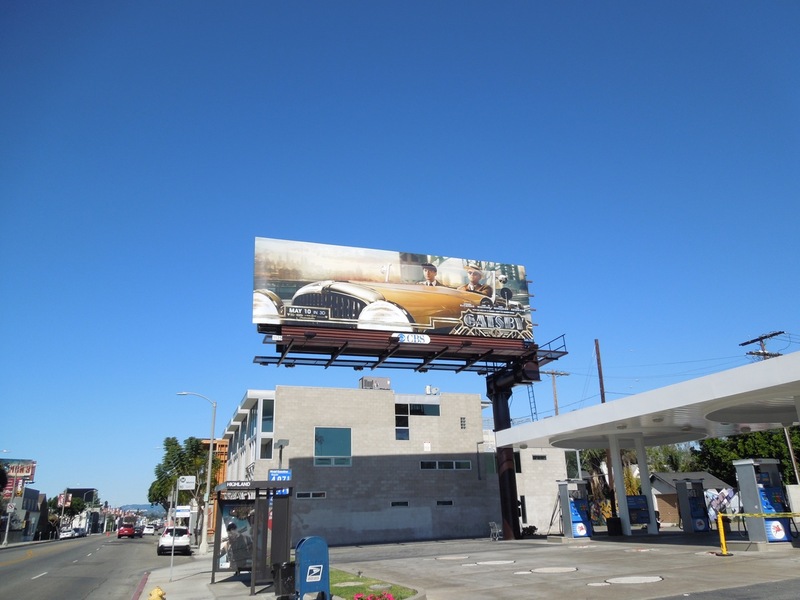 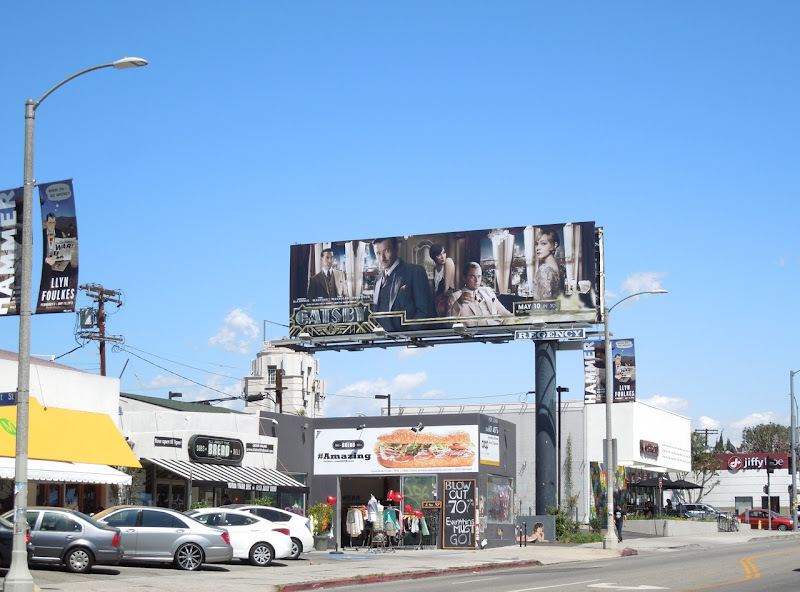 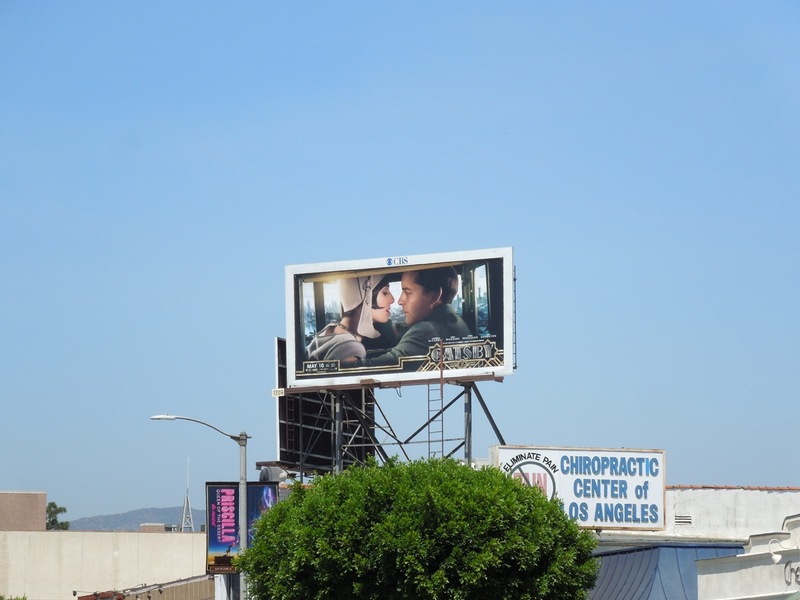 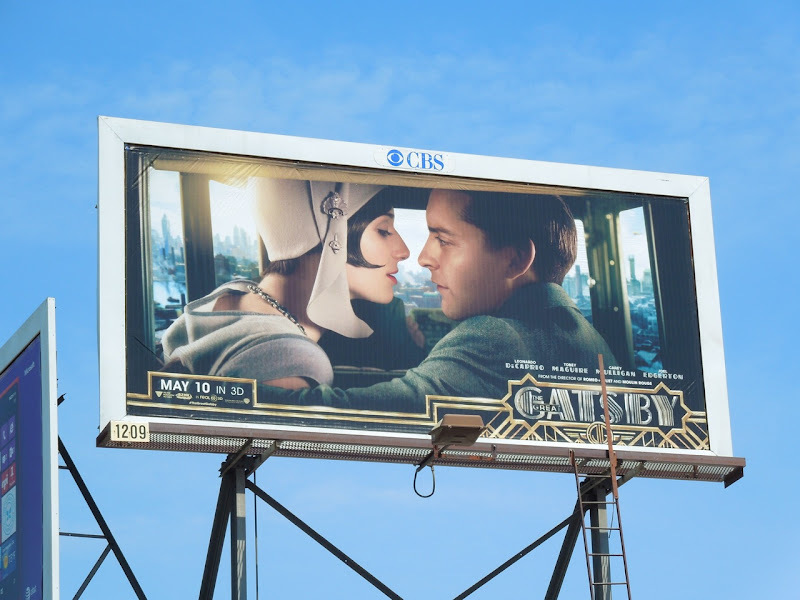 These wonderfully evocative billboards for the romantic drama were snapped along Melrose Avenue, Highland Avenue, Santa Monica Boulevard and Fountain Avenue from April 9 to April 20, 2013. 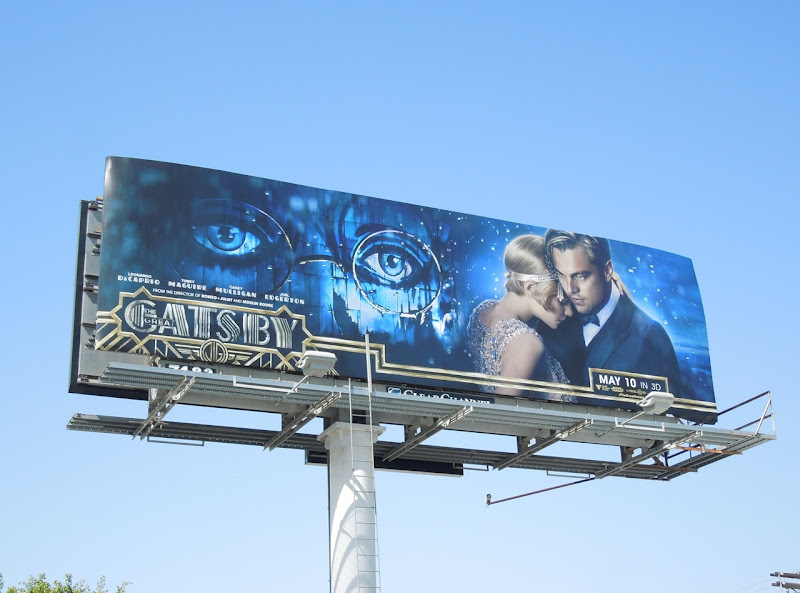 If you're a fan of the actor who plays The Great Gatsby, be sure to check these movie billboards featuring Leonardo DiCaprio. UPDATED: In addition to the standard landscape billboards, there's also a selection of smaller creatives lining the skies of L.A. 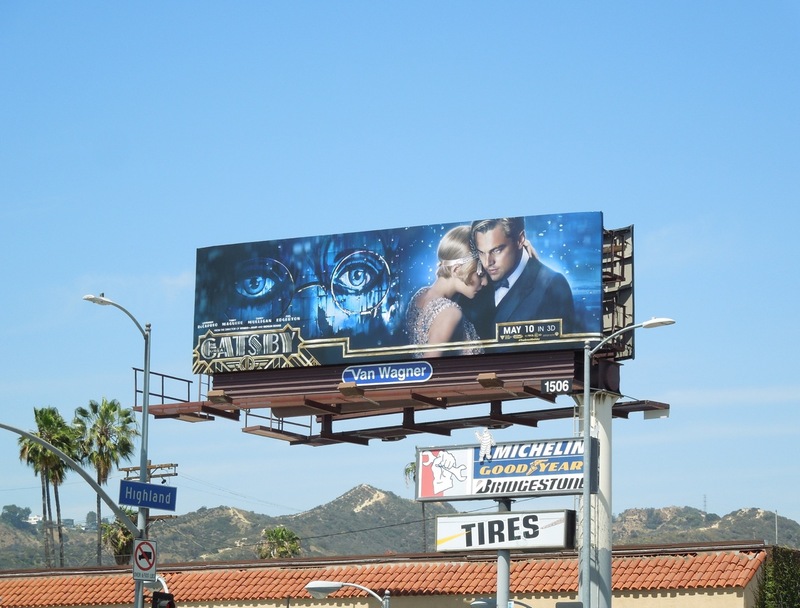 This romantic version featuring Elizabeth Debicki and Tobey Maguire was snapped along La Brea Avenue on April 22, 2013. 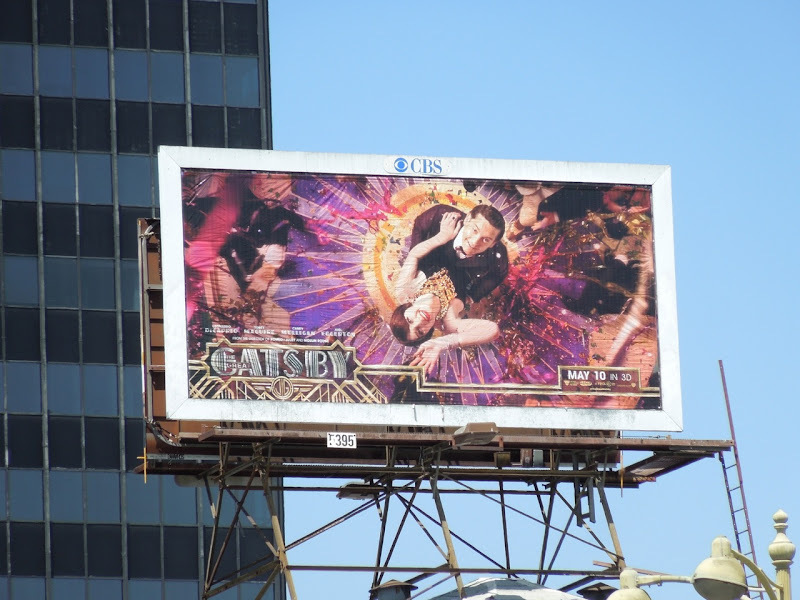 Plus this dancing creative featuring the duo was spotted along Wilshire Boulevard on April 27, 2013.